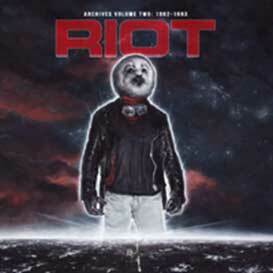 It’s almost impossible to overestimate the importance of Riot for the evolution of American heavy metal. The New Yorkers built the bridge between the first generation of hard rock and metal bands springing up in the early to mid-1970s (Blue Öyster Cult, Kiss and Van Halen) and the new wave carrying the torch in the late 1970s and early 1980s (led by Canadian proto speed metal merchants Anvil and Exciter). The CD and LP versions of this release both contain bonus DVD: Through the Years. • “Archives Volume 2: 1982-1983” contains no less than 20 tracks! • Riot recorded one of the best heavy metal albums of all time: 1981’s "Fire Down Under"